Trademark and copyright protection are fundamental components of a sound business strategy for all artists and professionals in the Music Business, Visual Arts or Film and Television Industry. But do we have to be lawyers to understand the basics? Jeff Fabian says “NO!” and he is going to going to prove it to us in this month’s Interview with an Expert! 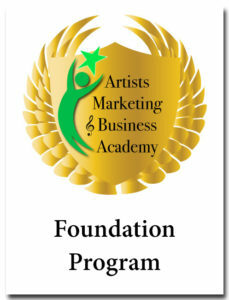 Protecting your work and your brand identity is critically important to your success. Jeff Fabian is the owner of Fabian, LLC, a boutique law firm that assists musicians, creative industry professionals and entrepreneurs in trademark, copyright and contract matters. His experience includes copyright registration maintenance and licensing, trademark protection and enforcement, and contract drafting and negotiation for record deals, music licensing agreements, online music distribution, and more. Visit fabianwrites.com for more information, or follow Jeff on Twitter: @fabianwrites. We’ve all heard this quote, and yet, we struggle and resist against writing a business plan. For most artists and creatives, there’s the myth that the plan will cramp your creativity. But what my private clients discover over and over again, is that the plan empowers your creativity and just makes life easier. Underlying your productivity (or lack of it) lies the effectiveness of your systems. Many creative people struggle with business, not because they don’t know what to do, but because they haven’t created systems that operate in the ways they organically think. A system will take time to create – but once created will save you time every time. And the biggest advantage is that once you’ve created a system for an activity – you will be able to delegate it and know that it’s being run the same way you would run it! Last week, an interesting conversation erupted on a music list-serve that I participate in. I think there is much to be learned from this both by the Venue Owners/Bookers and the Performing Artists who depend on those bookers for their gigs. I have removed all of the names/locations because the real issues here are applicable across locations, genre and venue size. If you are a performing artist looking to book gigs – I strongly recommend you read on – don’t make these mistakes yourself! And if you are a venue owner or booker – you may also find this informative. I need some guidance or at least some constructive feedback. The email text listed below was forwarded to us by multiple attendees of our [events]. This message was sent as an email to everyone who signed up for this artist’s email list when they performed at our [venue] about 18 months ago. How to sustain your new level once you’ve made the leap. If you think you know what it will take to succeed as a full-time artist, join me in the class. You might be surprised! Taylor Swift – Is Her Career Over? I wrote this to Bob Lefsetz in response to his rallying cry for Taylor Swift and against the almost universal online and mainstream media bashing. This is serious business. Just look at John Edwards. The aforementioned Tiger Woods. There are people who specialize in handling these crises. Hire one. Because the team in control of Taylor Swift’s image is woefully overmatched. I wouldn’t call it a public relations offensive but an explanation, a bringing of the public into Taylor Swift’s heart. Don’t throw stones at your enemies, hug them tight, by admitting your faults and showing that you’re reasonable, and dedicated to solving the problem. 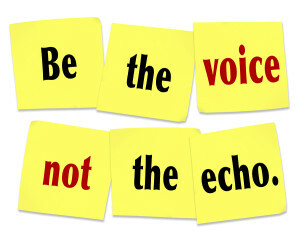 Being able to sing on key, support your breath, harmonize – these are skills. Some people are born with a large amount of talent. The rest of us need to build our skills. And the truth is, it is more likely the people who have to work very hard to achieve high proficiency are more likely to be successful in the long run, than the folks for whom it comes easy. Because those of us who have to work hard all along – become used to hard work. So, when the going gets hard, we just buckle down and get to work. It’s also extremely rare for someone to be hugely talented across the board. You’ve said yourself, she’s a talented songwriter. I agree. I also think she’s a talented performer and producer. But she needs to build her skills in other areas. Hey, she’s young – give the girl a chance, will ya? https://artists-edge.com/wp-content/uploads/2010/02/TaylorSwift.jpg 366 650 Debra Russell https://artists-edge.com/wp-content/uploads/artists-edge-logo_blur-hard-drop-smaller.png Debra Russell2010-02-04 12:13:242018-11-24 00:11:52Taylor Swift - Is Her Career Over? 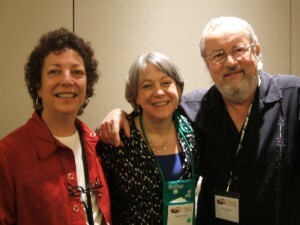 I met John Braheny and his wife Joann several years ago at the West Coast Songwriter’s Conference and they introduced me to Michael Laskow, CEO of TAXI. When I recommend a place to get expert feedback on your songwriting – John is always one or two or three names on the list. It is with devastating sorrow that I give you the news that John Braheny has left us. On January 19th, 2013, John died of cancer. He will no longer be able to teach you songwriting in person. He will no longer be offering in person songwriting and music business advice to songwriters. But his brilliance lives on in his book and the videos he did for TAXI TV. And in our hearts. We miss you, John. 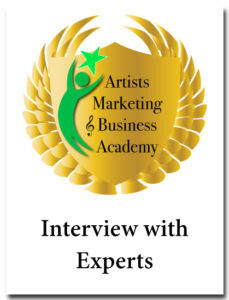 I have recently been listed as an expert – under career coaching for Music Xray. Music Xray is a resource for both musicians, composers and the buyers of music to connect in a professional and transparent environment. Music industry professionals use Music Xray as the preferred, direct and transparent method for interacting with artists. 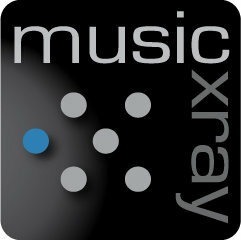 Music Xray is developing unique applications, patent-pending methods and user interfaces that leverage the cutting edge of Music Information Retrieval Science. Music Xray also funds, licenses and commercializes research, development and patented technology created by several of the most prestigious universities that are engaged in expanding the science of music information retrieval. Music Xray’s technology and services are designed and developed to radically minimize the effort currently required to quickly connect any artist/song to both intra-industry and consumer audiences. Music Xray plans to end the need for artists to engage in inefficient, pre-popularity promotion.